Two scientists at the University of Washington School of Medicine created software that can understand high-pitch calls. Mice and rats have a rich repertoire of around 20 kinds of calls, said UW Medicine researchers. 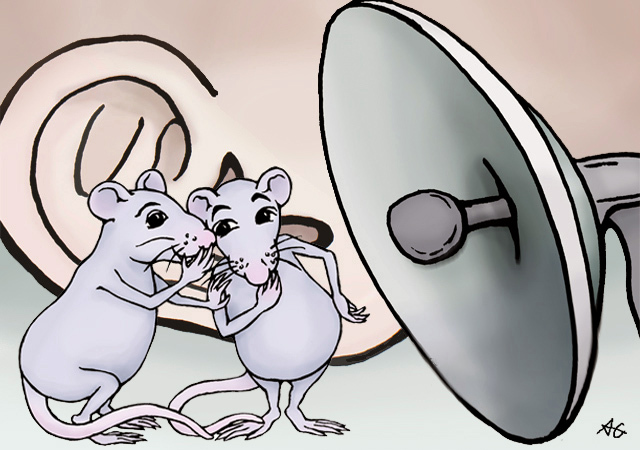 “DeepSqueak uses biomimetic algorithms that learn to isolate vocalizations by being given labeled examples of vocalizations and noise,” said co-author Russell Marx. Marx is a technician in the Neumaier lab, which investigates complex behaviors relating to stress and addiction, and created the program with Kevin Coffey, whose specialty is studying the psychological aspects of drugs. “The animals have a rich repertoire of calls, around 20 kinds,” said Coffey, a postdoctoral fellow in the Neumaier lab. “With drugs of abuse, you see both positive and negative calls,” Coffey said, explaining the complicated nature of addiction. “If scientists can understand better how drugs change brain activity to cause pleasure or unpleasant feelings, we could devise better treatments for addiction,” he said.